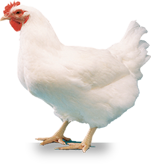 Here you can access the websites of some of the national branches of the World Veterinary Poultry Assocaition and other organisations affiliated with us. The AAAP has been an organized group since 1957. It was launched as a national organization for veterinary practitioners, diagnosticians, researchers, and students interested in poultry health and medicine. With annual meetings involving both national and international members, interested individuals come together to discuss poultry diseases and further advance the field of poultry medicine. The AVPA was formed about four decades ago. The goal was to provide a forum where veterinarians working with poultry in Australia could meet and exchange views. It was also intended to represent the health and food safety issues of the poultry industry to government and industry research bodies. WVPA Belgium organizes several study sessions on recent problems in industrial poultry. The themes of the study afternoons playing in the current problems in the poultry and try to meet the expectations of the poultry veterinarian. The object of the British Veterinary Poultry Association is to facilitate discussion and the exchange of ideas amongst those engaged in the veterinary aspect of poultry disease and husbandry. Currently there are about 170 members of the association. Objectives: Support the local poultry industry through scientific and technical activities and to encourage serious research aimed at serving the industry and the applicable Field Awards and monitor them. Exchange of information and expertise to serve the workers in the industry through regular seminars and scientific meetings and open workshops to discuss the problems of production. The German Veterinary Medical Society, the scientific society of veterinary medicine. Membership is voluntary and the company has 5,000 members nationwide over. Veterinarians from academia, practice, industry, government agencies, ministries and research institutes are found together in the 36 sections and seven working groups / committees under the umbrella of the DVG. The World's Poultry Science Association is a long established and unique organization that strives to advance knowledge and understanding of all aspects of poultry science and the poultry industry. Its major role is to encourage, and help facilitate, liaison among research scientists and educators, and between those in research and education and those working in the many diverse sectors of the industry. FAO's Animal Production and Health Division (AGA) strives to assist Member countries to take full advantage of the contribution the rapidly growing and transforming livestock sector can make towards achievement of the Millennium Development Goals (MDGs).